Hi, everyone! Today I want to show you my Valentine's banner for this year. It is super simple but I love it! :) To create it I went through my fabric stash and pulled out some red/ivory toile and gray/ivory polka dot fabric. I also used some backed burlap I bought at Michael's for another project as well as some of my Cranberry Bliss cardstock from Fun Stampers Journey. That adorable heart came from our Heart-Felt die set. It is a super cute set that has 7 heart dies and it sells for $24.99. So, I've also kind of fallen in love with my pom pom maker. As you can probably tell by my banner and the pom poms I added to my mantle decor. 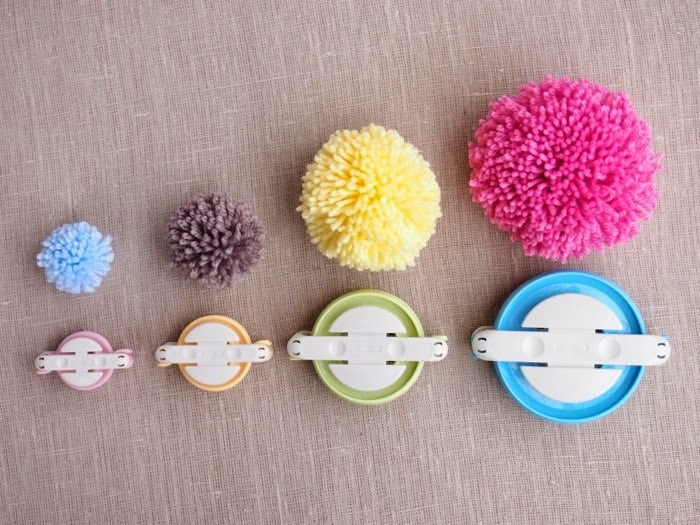 Well, a few CHA's ago, I came across the Clover booth and I saw these awesome pom pom makers! I just love them so I added a few to my banner as well as attached some to a bit of floral wire and made little pom pom flowers with them! I just added some double sided tape to the wire and criss-crossed the ties down the sides. You can purchase these pompom makers at any of you local craft shops or on Amazon HERE. Well, thanks so much for stopping by! I hope you've enjoyed seeing my banner and my pom pom flowers! Let me know if you are interested in any of my Fun Stampers Journey products or if you're interested in becoming a Journey Coach yourself!! Your banner is beautiful - love your colours!